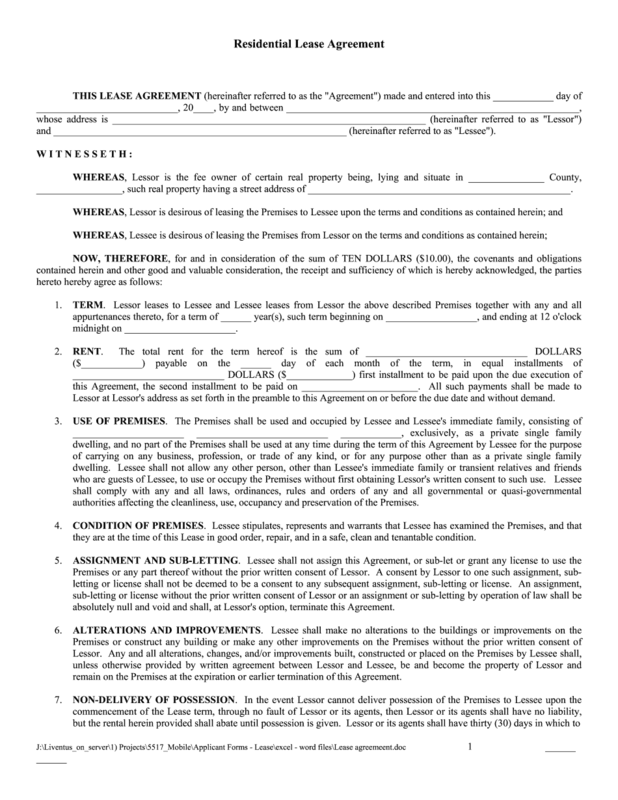 Each time you need to lease or rent property, you have to execute a certain contract to confirm a transaction. The type of document depends on a property you want to lease or rent. One of the most popular in the U.S. is a residential lease agreement. This legally binding document is usually concluded between the landlord and the tenant over the use of property and specifies their responsibilities and requirements. Before concluding it, both parties have to agree the lease period, pay rate and define who is going to pay the utility services. It also required to determine who is responsible for any damages caused to property and evaluate its condition. After considering a document, both parties have to put their signatures to make it legally binding. Preparing a form on this source, you are provided with ability to sign it digitally by typing, drawing or capturing a signature with a webcam. Once you finish, send a completed agreement to a counter party for signing straight from the website. In case you need a hard copy of a contract, you can print it out in no time. Converting a template in PDF to other formats is also available.